Artist Unknown (Gujarat). Anklets (kadla), early 19th century. Silver. Promised Gift of Ronald and Maxine Linde, 15271. A new exhibition highlighting the rich and diverse silver jewelry traditions of the Thar Desert region of India is coming to the Fowler Museum at UCLA in February. Featuring more than 160 works of art, “Enduring Splendor: Jewelry of India’s Thar Desert” opens Feb. 19 and closes June 18. “Enduring Splendor” invites visitors to consider these traditions against the background of a 5,000-year history of jewelry making across the vast Indian subcontinent. Drawing on recent field research carried out in the city of Jaisalmer, a thriving center of contemporary jewelry production, the exhibition is one of the very few to explore for the first time the lives and work of four sonis (silversmiths or goldsmiths). This presentation emphasizes the symbiotic relationships that exist between jewelry and society, artist and jewelry, and artist and society. To this end, the Fowler Museum commissioned new silver works from the four contemporary smiths, who execute and transform traditional designs and techniques of manufacture in distinctive ways. Exhibition highlights include these newly commissioned objects, contextualized by a survey of 19th- and 20th-century jewelry types still worn by rural men and women from Rajasthan and Gujarat. These exemplary types — including earrings, anklets, bracelets, and necklaces — are borrowed from the Ronald and Maxine Linde Collection, one of the most comprehensive collections of Indian jewelry in the world. Ronald and Maxine Linde’s aim in assembling an encyclopedic compendium of Indian jewelry is nurtured by the hope that their collection will help to shape the study of Indian jewelry, as is illustrated by Enduring Splendor. This exhibition also serves to announce that the Ronald and Maxine Linde Collection of Jewelry and Ritual Arts of India is part of a promised gift to UCLA, where it will find its future home with the Fowler Museum. 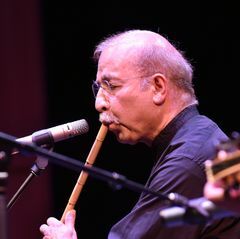 “Enduring Splendor” is guest co-curated by Thomas Seligman, director emeritus of the Cantor Arts Center, Stanford University, who has conducted research on sonis during the last eight years, and Usha Balakrishnan, a highly regarded independent scholar of Indian jewelry based in Mumbai. The exhibition unfolds in three sections, beginning with an introduction to long-standing jewelry traditions maintained across the Indian subcontinent. 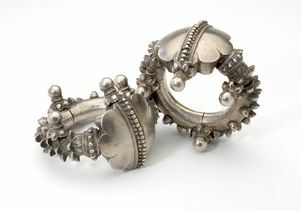 Sculptures and paintings borrowed from LACMA have been selected to illustrate the profusion of jewelry worn in ancient times, and to introduce comparable designs still in use today. Early stone and terra cotta sculptures (dating from 200 B.C. to 1,000 A.D.) reveal Hindu gods and goddesses adorned in jewels from head to toe, while Mughal miniature watercolor paintings dating from 17th to the early 19th centuries depict in fine detail the elaborate ornaments worn by maharajas and empresses. Interspersed throughout this section, jewelry from the Ronald and Maxine Linde Collection animates a visual exchange, demonstrating how specific forms depicted in these artworks have persisted over centuries. 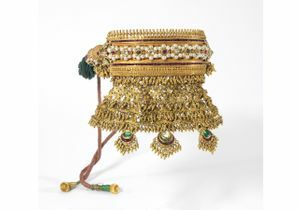 The second section of “Enduring Splendor” is devoted to 19th- and 20th-century jewelry from the Ronald and Maxine Linde Collection that specifically brings into focus the traditions of India’s northwest Thar Desert region. Situated on India’s western border, the state of Rajasthan was for many centuries the gateway to India. Genghis Khan, Tamerlane and Babur, Alexander the Great and the Greeks, and countless early European visitors brought their influence to bear on the region. 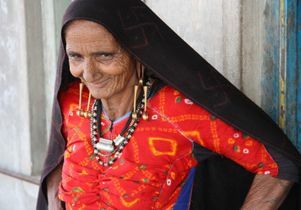 Rabari woman in Kutch, Gujarat, India, wearing traditional necklace. This section offers a stunning array of head ornaments, necklaces, earrings, bracelets, and anklets crafted from gold and encrusted with gemstones that are displayed side-by-side with silver jewelry in abstract forms that belie the simplicity of the rural and tribal communities that wore them. 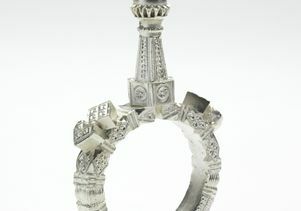 For affluent people, jewelry conveyed wealth and social position. For tribal peoples these adornments served to broadcast religious and social affiliations; wearing large, heavy designs at all times indicates a belief in their power to keep malevolent spirits at bay and attract good luck. The third section focuses on the commissioned work of four sonis from Jaisalmer — B.D. Soni, Dharmendra Soni, Hanuman Soni and Roopkishor Soni — and includes video documentation of each at work using traditional tools and techniques that conform to the standards of the ancient Indian tradition of jewelry manufacture. Traditionally, the act of manufacturing a piece of jewelry is sacred and akin to creation. It is this spiritual act of creation that makes every piece unique and induces craftsmen to remain anonymous. By interviewing jewelry makers B.D. Soni, Dharmendra Soni, Hanuman Soni, and Roopkishor Soni, co-curator Seligman seeks to heighten our sensitivity to the individualism of each family’s shop. Seligman’s videos capture the signature designs of the artists, their business acumen, and adaptation to fluctuating material costs, global markets or family aspirations —challenges shared by business-owners and artists everywhere. Major support for “Enduring Splendor” has been provided by C. Diane Christensen, with additional funding from the Anawalt Program for the Study of Regional Dress Endowment Fund, an anonymous donor, and Avrum and Martha Bluming. The publication has been funded in part by The Ahmanson Foundation, on the recommendation of Foundation Trustee Emeritus, Lloyd E. Cotsen. The Fowler Museum at UCLA is one of the country’s most respected institutions devoted to exploring the arts and cultures of Africa, Asia and the Pacific, and the Americas. The Fowler is open Wednesdays from noon until 8 p.m., and Thursdays through Sundays from noon to 5 p.m. The museum is closed Mondays and Tuesdays. The Fowler Museum, part of UCLA Arts, is located in the north part of the UCLA campus. Admission is free. Parking is available for a maximum of $12 in Lot 4. 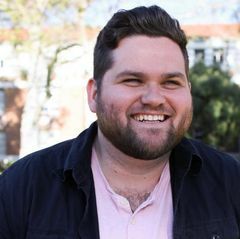 For more information, the public may call 310-825-4361 or visit fowler.ucla.edu. Family Jam: Bollywood and Bhangra! Sunday, March 12, 2 to 4 p.m.
Join us for a spectacular Bollywood and Bhangra dance lesson and performance with Blue13 Dance Company. Participants of all ages will learn new moves and create wearable jewelry. ​Enduring Splendor features sculptures of Hindu deities bedecked in jewels, and Mughal watercolors depicting elaborate jewelry worn by royalty. Robert Brown, UCLA professor of Indian and Southeast Asian Art, and curator of South and Southeast Asian Art at LACMA, discusses these materials in an informal gallery talk. 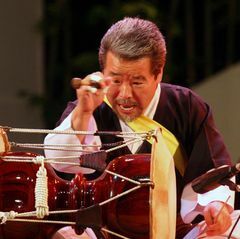 Full list of programs at www.fowler.ucla.edu/events.